The ongoing ‘post-excavation’ work mainly centres on digitising plans, cataloguing photographs and other winter work – all important to keep the preparation of the final report on track. Fred has been leading the geophysical surveys on the northern annex of Borough Hill, Daventry and at Bannaventa. Both of these projects are coming up with some excellent results. We hope that at Borough Hill we have identified the site of the Romano-British building that Jeremiah Bottfield excavated back in the 19th C; we just need now to conclude what it is. This work is a joint project with MOLA – they are currently surveying the whole of the Hill, and doing the earlier ‘bulk’ of the site, although we are helping with that. 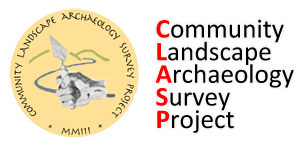 Hopefully the outcome of this project, together with the work that CLASP undertook for the Atlas of Hillforts Project, will lead to a greater understanding of what this site was all about. The work at Bannaventa has revealed the perimeter defences of the earlier defended site, doubling the size of what was previously known from work undertaken by others many years ago. We have also identified a plethora of early routes that require untangling: definition will be important if we are to understand the early development of Watling Street and possibly the road to Duston. To support the Woodland Trust we are undertaking an earthwork survey at Everdon Stubbs to de-cypher what appears to be a small quarry at the entrance, to facilitate the extension of the car park.